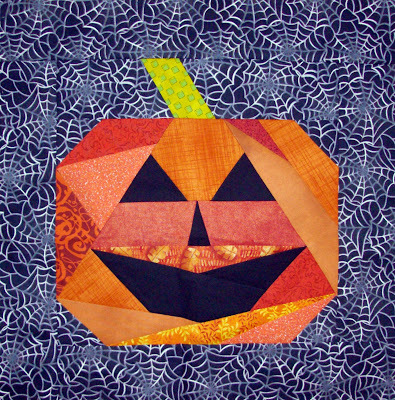 Val's Quilting Studio : Tuesday Archives #34: HALLOWEEN! Created by Nancy at Patchwork Breeze. I also updated our themes. Check out my side-bar for November's list. My only Halloween stuff was Ghastlies and those were shown. Not something I decor for. Ghastlies are always welcome...esp. this week. I guess I have used up my linky Halloween posts as well. The only scary thing I have going on right now is my messy house from too much sewing (ha ha). Thanks again for your weekly linky. I'll be back. Yes! Like your wonderful Candy Corn Fairies!!! Fun! I already showed my Halloween quilt on a previous Tuesday but I am looking forward to seeing these ladies works! Happy Halloweem! Oh fun Halloween blocks!! I'll be doing a Halloween post on Friday.